Each of these invitations gives you the control on all of the important aspects you need to style the invitation to fit your baby shower. Choose weather you want to modify the sample wording to fit your needs, or completely reword the card for the maximum control. 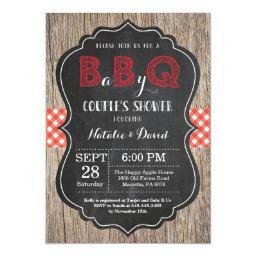 Creating an invitation for your BBQ or couples shower is a quick and easy process that saves you time and money. Do you want to save 40% on the cost of your invitations? We all love saving money, and with a new addition to the family on the way savings are a welcome surprise. Raising a family can be expensive, but your don't need to spend more than you need to on your invitations. See for yourself. 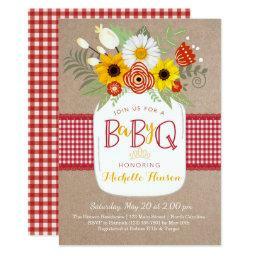 Save 25%: Would you like to save 25% on the cost of your invitations? This is probably the most popular option for any baby shower. You get 25% off when you order 50 invitations or more for your couples or BBQ baby shower. 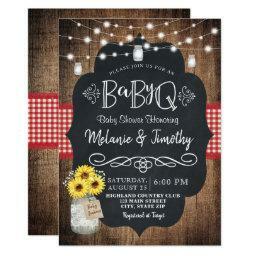 Save 40%: This option is ideal for anyone who is intending to celebrating a large baby shower. You can 40% off the base price of an invitation when you place an order for 100+ invites. Save 15%: For those of you who intend to celebrate a small shower you're in luck. You can save 15% when you order 25 invitations or more. It doesn't matter how many invitations you order, here are some of the great features each design comes with. Free evenlopes: Each of the invitations comes with a free basic envelope. Add the final touch to your invitations with custom or pocket fold envelopes (sold speraretly). Lots of Paper Choices: Don't settle for second best. When you order these inivtations you can design them to suite your taste. That includes picking the best paper type to fit your design. 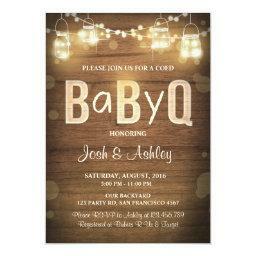 Border Options: Make sure your invitations fit the theme of your baby shower with one of six unique border options. 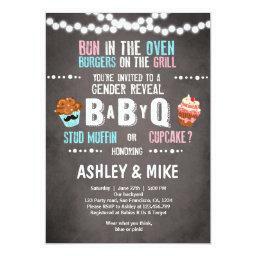 Would you like to create custom BBQ or couples baby shower invitations for your party? 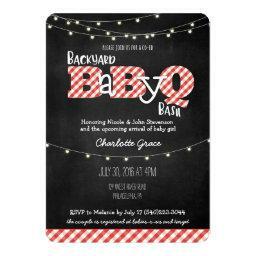 We have several hundred invitations on this page for you to choose from and customize. But if you really want to include the personal touch it might be easier to let your inner designer out. In that case you can quickly and easily use the same tools to craft your own invitations from scratch. The benefit of creating your own couples shower invitations is that you get the same fun relaxed nature of those found here along with the knowledge that nobody else has used them before you. 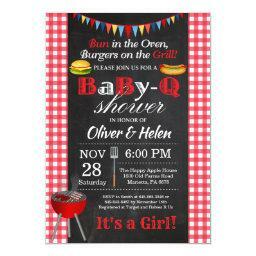 While it may seem informal to celebrate a BBQ baby shower having custom invitations can be a fun touch that makes the day all the more special. There are so many nice ways for you to enjoy a baby shower together. There is of course the BaByQ which adds a touch of flavor to the event, but, in fact, there are many different ways for you to enjoy the party together as a couple. 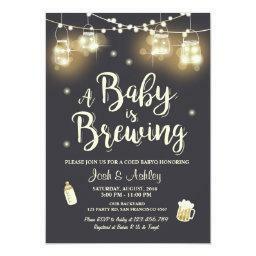 Many couples showers do not label themselves as such, and it isn't out of the ordinary to find baby sprinkle invitations that are ideal for co-ed showers. The nice thing about a couples shower is that it, in itself is not a theme. It is merely a means to celebrate the joyous event. That means that you are able to choose the look that best fits your idea of the perfect baby shower and then find the design that goes along with your celebration. You may even want to select them based on the gender of the child. In that case you will be pleased to learn that you can easily find co-ed shower designs such as invitations for girls and baby boy shower invitations. This gives you plenty of fun ways to style your couples shower so that it fulfills your expectations. This page has a list of all of the couples and BBQ invitations you'll need for your baby shower. If you want to pick another theme, or add accessories to your order to complete the set use the navigation on the left to browse all of the other options.